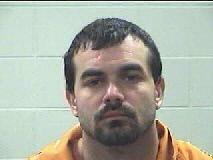 James Alton Moffett, 31, of Livingston: Charged with intoxication assault. Livingston Man Crashes Pickup, Wife Flown to Houston, Alcohol Suspected, SCENIC LOOP, January 17, 2013 - A approximately 3:30 am on January 17, 2013, a 1995 Chevy pickup driven by James Moffett, 31, of Livingston was driving on FM-3277 near fawn road when he apparently entered a curve too fast. Moffett's truck left the road to the left. Moffett, then over corrected to the right and crossed through the west-bound lane and left the pavement to the right, went through a ditch and slammed into a tree. Americare Ambulance Service was dispatched to the scene along with Trooper Chad Seamans of the Texas Highway Patrol. Moffet's wife was had serious injuries and was flown to Hermann Hospital in Houston. Moffett was allegedly intoxicated and was transported to Polk County Jail. He was charged with intoxication assault and driving with an invalid license. At time of press, the condition of Moffett's wife is not known to PolkCountyToday.com.